Mr. Nass has almost 40 years of experience in Texas Family Law and is certified member by the Texas Board of Legal Specialization in the field of Family Law. He is also a member of the Houston and Texas Bar Associations, Family Law Sections. Attorney Joel A. Nass received his bachelor’s degree from the University of Florida before enrolling as a law student. Mr. Nass completed his law degree at the prestigious South Texas College of Law Houston in 1978. Mr. Nass is a certified member by the Texas Board of Legal Specialization in the field of Family Law, as well as a member of the Houston and Texas Bar Associations, Family Law Sections. 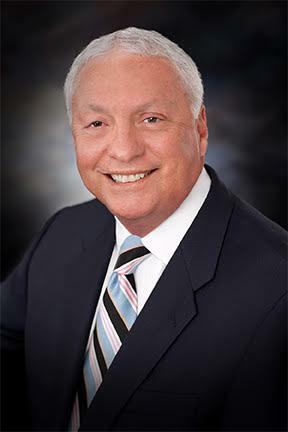 Mr. Nass was also previously the past president of the Gulf Coast Family Law Specialist Association, and past chairman of the Houston Bar Volunteer Lawyers Program. Attorney Joel Nass has worked at the following law firms during his legal profession, amassing almost 40 years of experience in the Texas family law world. Law Firm of Andrew G. Shelby III, P.C. Law Offices of Joel A. Nass, P.C. We at the Law Offices of Joel A. Nass, P.C. understand how difficult divorce and family issues can be on an individual, and a family. It is our goal to help make your family law decisions as pain free, cost effective, and simple as possible. We handle the business of divorce and other family law matters so that you can be the best parent that you can be, continue your work, or education goals with the least amount of distraction possible. At the Law Offices of Joel A. Nass, P.C., we represent clients in divorce, child custody, modifications, pre/post martial agreement, enforcement orders, and other family law and divorce concerns. It is our mission to ensure our clients understand completely how the divorce and family law process works so that we may take the appropriate steps together to protect your rights, assets, and children. If you are in need of a family law attorney, either to discuss divorce planning, or any other family law matter, we advise you to please contact us today at 713-334-6061 to schedule an in-person consultation.